The area around the lake is unsurprisingly packed with holidaymakers from northern Europe on their way to the coast of Le Marche. It is absolutely exquisite and travellers are drawn by the sun and summer activities. Passignano and San Feliciano have a different style from the other villages which follow the Stalinist style high rise architecture. The fields around the lake are blanketed with sunflowers and the lake itself is a paradise for water sports lovers. Eight municipalities form the region: Città della Pieve, Magione, Paciano, Panicale, Passignano, Piegaro, Tuoro and Castiglione del Lago. 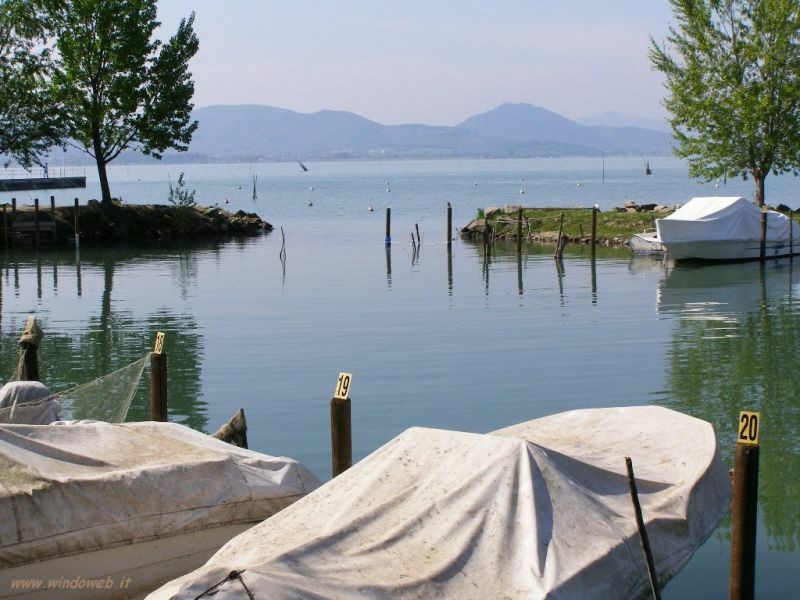 Lake Trasimeno has the same lively atmosphere as other Umbrian towns which abound in festivals and celebrations. During the first weekend in June the art and culture festival is held in Città della Pieve. Once a year in July an old race is celebrated in Passignano where heavy boats are carried by men up a hill. In August at the Palio dei Terzieri the Renaissance mood appears again with acrobatics, fire eating and archers. Around the lake visitors can go hiking and camping or enjoy wine-tasting in the enoteche. Vineyards are usually only open to the public once a year. As Umbria embraces a slower pace of life it is the perfect place for an idle holiday indulging in some time just doing nothing. The lake´s waters provide a playground for canoeing, windsurfing, sailing, fishing and more. Merongola in Castiglione del Lago and Belneazione Tuoro in Tuoro rent out boats, canoes etc. Some restaurants will even prepare the fish you´ve caught if you ask. Wine lovers of any level of expertise will find plenty for them here. The Strada del Vino sweeps across the Umbrian fields here and the locals take great pride in their world class wines. Markets offering local fresh produce are organized in different towns in the region every week. It is held in Passignano on Saturdays and Castiglione del Lago on Wednesdays for example. For further days and details see the Tourist Information Office. Another way to explore Lago Trasimeno is horse-riding or biking. There are lots of paths to explore and equestrian centres like Maneggio Oasi and Poggio del Belveduto. It you want to feel like a knight in the middle ages try an archery course in Poggio del Belveduto. The tourist information office also stocks walking and bike trail maps. Most restaurant will serve the local specialities: little white beans, fish dishes or tegamaccio (a soupy stew made of local fish in olive oil, wine and herbs) accompanied by local wine. La Cantina is an elegant restaurant with fair prices, a lovely open air terrace for outdoor meals and a shop offering tastings and selling local products. Its trout with fagiolini (ittle white beans) is recommended. L’Acquario on Via Vittorio Emmanuele in Castiglione del Lago offers a set menu including carp and porchetta among many other culinary delights. La Locanda di Gulliver is positioned at the end of a scenic driveway in an ancient brick farmhouse. The cuisine is creative and includes wild boar, home made pizza and smoked fish. Le Grotte di Boldrini in Panicale sits atop a hill looking over the lake. They offer grilled meats, fresh fish, macaroni with cream sauce and spicy sausages. Don´t judge Da Settimio on Via Lungolago Alicata in San Feliciano by firtst appearances as this is a real gem, popular amongst the locals for it´s excellent fish. The fisherman´s risotto and white bait appetizer are excellent. BY BUS : from Perugia to Passignano (duration: 1 1/4 hours, services: nine a day), from Perugia to Castiglione del Lago (duration: 1.1/4 hours, services: 9 a day). 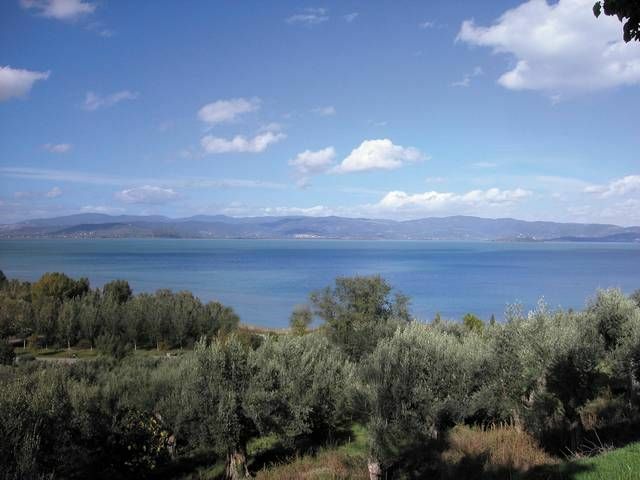 BY BICYCLE: A bike is a good choice for experiencing Lake Trasimeno. Cicli Valentine and Marinelli Ferrettini Fabio, both in Castiglione del Lago, rent bicycles as do Fattoria il Poggio and La Casa sul Lago. 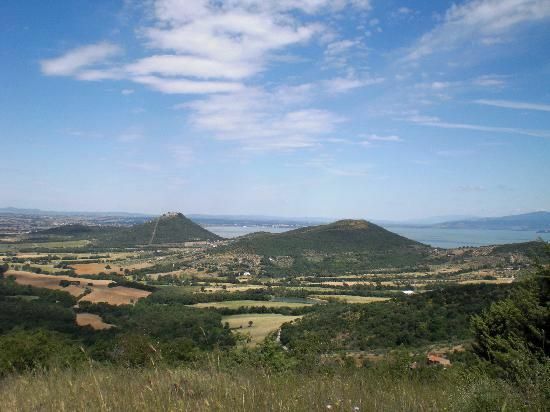 BY CAR: the SS71 from Chiusi to Arezzo travels along the west side of the lake.The A1 to Perugia is to the north of the lake. (duration: 40 minutes), from San Feliciano to Isola Polvese (duration: 10 minutes), from Castiglione del Lago to Isola Maggiore (duration: 30 minutes). These services leave every hour between Easter and September. BY TRAIN: from Perugia the train calls at Magione, Torricella (duration: 30minutes) and Castiglione del Lago (duration:1 hour, services: 9 a day).